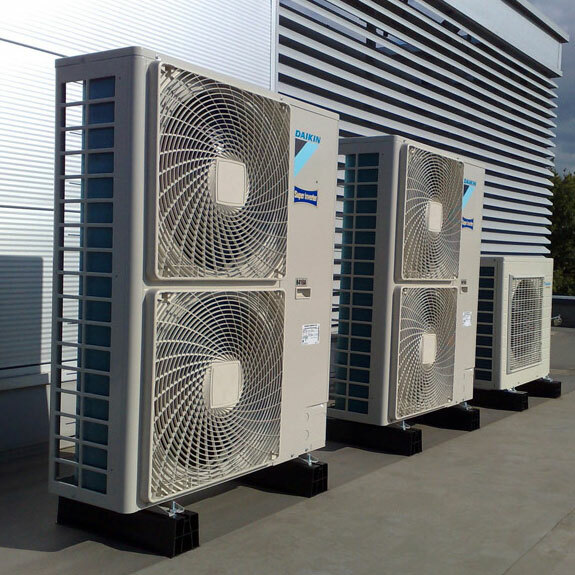 Here at Pritchard Services Ltd, we understand the vital role that air conditioning systems play in creating a productive business environment. Whether it’s essential for manufacturing or simply to ensure your employees work in a safe, comfortable environment that’s conducive to productivity and good morale having a system that’s reliable and runs effectively is absolutely essential. Energy efficiency and reliable technologies in this area are big focusses for us here at Pritchard Services Ltd. Air con systems have the potential to be large contributors to energy bills, and this is why we always work hard to supply our customers with the latest units and systems from renowned suppliers, such as Panasonic, Fujitsu, Mitsubishi and Daikin. We work carefully to design a system that’s as efficient and effective as possible, selecting units that’ll provide the best results for your business. Our engineers are registered with accreditation bodies including Gas Safe, OFTEC, HVAC and NICEIC, while we have a long list of previously satisfied commercial clients. In addition to system design and installation services, we’re also able to offer customers both long and short-term maintenance contracts. This ensures that your system runs safely and efficiently, and helps to prevent major breakdowns and system failure. Inspections are also a legal requirement under TM44 regulations – they’re required to occur no less frequently than once every five years for systems of 12kw. 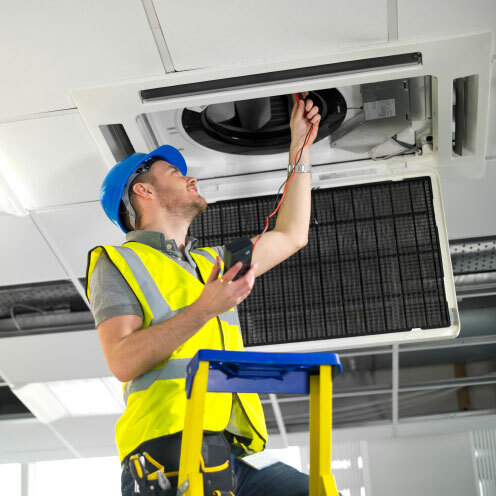 For further details about our maintenance contracts or about our comprehensive design, supply and installation services for our air conditioning systems, just get in touch with the Pritchard Services team today on 02920 024 122. We’ll happily provide you with advice, system recommendations and pricing information, as well as details of our maintenance contracts.